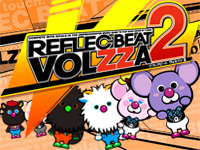 reflec BEAT VOLZZA 2 is out in Japan today. This version is easier to play thanks to the Top Object Assist that locates the objects to help the player. It's possible to hide the Top Object Assist for the experimented players. There is also a new mode named My course mode where the player runs through 4 songs with one life gauge. New anime songs are also added (Boruto, Gintama, Valvrave the Liberator, Ushio to Tora, Shingeki no Kiojin, School-Live!, World Trigger, Yowamushi Pedal). A new version of Monster Hunter Spirits originally released in June 2015 is available in Japan since yesterday. As a reminder, Monster Hunter Spirits is a trading card RPG set in the universe of the famous series of monster hunting games from Capcom. Monster Hunter Spirits Karitamashi features redesigned cards and new cards featuring monsters in their baby and adult forms. You can watch the trailer here. After an anticipated release in some game centers, Bandai Namco releases its new game based on the Gundam license nationally today. 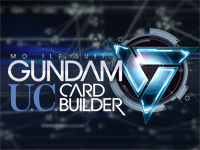 It's Mobile Suit Gundam UC Card Builder, a card battle RPG game. Many mechas and pilots from all generations of Gundam are available. The cards are divided into 4 types: Common (C), Uncommon (UC), Rare (R) and Super Rare (SR). Rare cards have a silver background and Super Rare have a golden background. Some cards will be available only on certain occasions. For example, to obtain the MSZ-006 Z Gundam card, players will have to pre-order Gundam Breaker 3 for PS4 or Vita and will receive it as a gift. A special campaign starts today between the 3 Gundam arcade games and ends on April 7. During this campaign, players can get special cards for Mobile Suit Gundam UC Card Builder: the MS-06S Char's Zaku II card if they play both Mobile Suit Gundam UC Card Builder and Mobile Suit Gundam Extreme VS. Maxi Boost ON and the MS-06K Zaku Cannon card if they play both Mobile Suit Gundam UC Card Builder and Mobile Suit Gundam - Senjo no Kizuna. You can watch the trailer here. 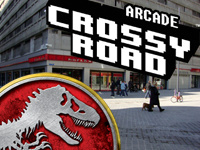 We don't see new arcade games in Belgium very often, but when it happens, it's the heavy weights! Today, two brand new titles are coming to us: the first one is MotoGP, the best motorcycle racing game since Manx TT. Thanks to its license, MotoGP offers the players the chance to ride the motorbikes of the greatest drivers such as Valentino Rossi, Jorge Lorenzo and Marc Marquez. The game features authentic circuits from the championship and graphics are stunning! The cabinet blows air into the face of the player to simulate speed. Prepare for the mind-blowing races! The other novelty is the Flat Screen edition of Star Wars Battle Pod! Relive the greatest battles of the first trilogy flying an X-Wing, a snow speeder, a moto-speeder and an even Darth Vader's TIE Advanced! A new level; the battle of Takodana from the seventh episode is announced for this summer. 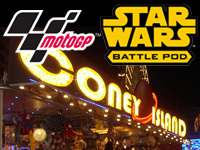 You can play both games as soon as today at 4pm at Coney Island arcade on spring funfair in Mouscron. 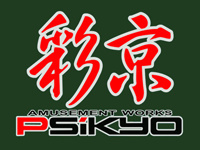 There, you will find two linked-up MotoGP arcade machines and a Star Wars Trilogy Flat Screen Edition cabinet, but also Aliens Armageddon, Winter X Games SnoCross, Dead Heat, a F355 Challenge deluxe cabinet and the classic Sega Rally 2 racing game. That's plenty of fun! Mouscron spring funfair will end on Sunday, March 20th so visit it before that date if you live in the area. Coney Island will then visit other cities such as Charleroi, Namur, Tournai, Liège and Mons. Maybe it will stop near your place... And if it is not the case, these games are worth the trip! 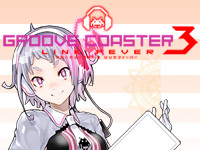 Groove Coaster 3 Link Fever is already the 4th version of Taito's musical game. 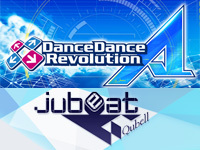 The first Groove Coaster was released 3 years ago. This time the cabinet and the interface become red coloured. 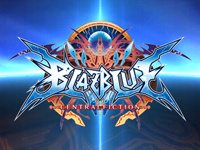 29 new songs are already available for the game release, they are divided in different categories: Pop, Anime, Game, Vocaloid, Variety and Original. 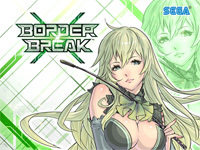 Players can now exchange messages and information about the songs via the online service. They can also register their friends to have access to their rankings and results. 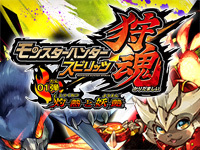 A collaboration with the Smartphone version starts for the launch of the arcade version.